How often do you Google something on your smartphone? Maybe your know-it-all co-worker just challenged something you absolutely know is true, or maybe you have a pressing question that you need answered as quickly as possible. A quick search proves your colleague (or you) wrong and resolves your question. Those searches are leading you to content that someone developed just for you. They knew you’d one day ask that question, so they provided you the answer. Your search rewarded their website with another page view, and maybe you’ll return there in the future. Such content is the end result of a content strategy. It’s the conclusion of a long road of deliberating, research, creation, and revision. The right content strategy can expand your reach, sell products, and stimulate growth in your business. And all it takes is five steps. What is a content strategy and how can it benefit your business? Is it worth pouring time and resources into? A content strategy is one aspect of your marketing plan and may refer to the many types of media that you create to promote your business in one form or another. It can be as simple as a blog campaign for your website or as extensive as a year-long video series that you publish on YouTube. What problems is your content solving, or what needs are you fulfilling? How will your content stand out from the content of your competitors? What channels will you use to reach (and maybe expand) your audience? Both in the development and execution of a content strategy, you’ll respond to these significant questions. By doing so, you’ll be able to not only promote a specific product or service that your business offers, but you’ll also be able to build a strong relationship between your audience and your brand. With an effective strategy, consumers can start seeing you less as just another business and more as an indispensable resource. Thanks to that perception, a content strategy can provide significant returns, especially since many forms of content aren’t too expensive to produce. By populating your website with content directed by a strong strategy, you’ll also improve your website’s SEO and make it easier for you to stand out from your competitors on the web. 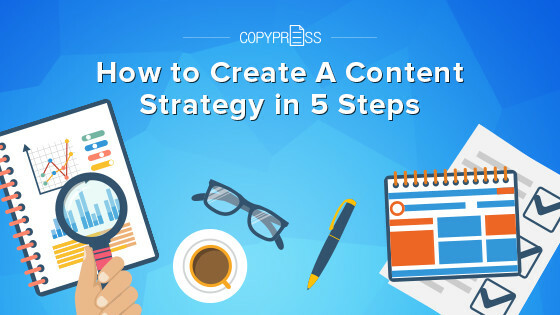 Here are a few steps to get you started developing your own content strategy. Before discussing blog posts and videos, you need to determine the overall goal of your content strategy. Have you identified a need in the market for a certain product and you want to use your content to promote that specific product? Do you need to drive more traffic to your website? A clear purpose will inform the many other decisions you’ll make when building a content strategy. Once you have your general purpose, you need to conduct extensive research, both on your audience and on your competitors. Think of content as a conversation. Before you start talking, you need to deeply understand who you’re speaking with. What’s important to your audience? What do they worry about on a daily basis? What are their buying habits? What types of content do they prefer? Do they use social media? Understand your audience well, and you can give them what they want in a place where they are most likely to find it. Researching your competitors can provide greater insight into your target audience while also giving you a feel for the content you’re fighting to beat. Use competitor analysis tools to monitor how your shared audience is engaging with their content. Do their blog posts perform better than their podcasts? Are their social media posts being shared, or are their only likes coming from someone’s mother? Researching what works for your competitor can illustrate what your audience prefers and what they’ll be expecting from you. With research in hand, you’re ready to start brainstorming your ideas for content. Hopefully, you know what types of content your audience prefers and in which types of channels they’ll likely engage with your work. You also should take into account what content will best fulfill your purpose. If you want your audience to continually check into your website, maybe you need to develop a recurring schedule of high-quality blog posts. But if you want to show off how a product works, maybe you need to shoot some videos illustrating your product in action. Don’t be afraid of thinking outside of the creative box when it comes to brainstorming content ideas. Similarly, don’t be afraid to try something no one has done before — as long as it’s informed by research. Build a sizable list of ways to fulfill your purpose and implement your research, then cut that down to what works best. Debate your options. Explore pros and cons. Make sure you’re working with the best of your ideas. At some point in this step of the process (and possibly sooner, in some cases), you’ll need to decide on a particular content type that will make the best vehicle for carrying your purpose. Blog posts are great for informing your audience and leading traffic to your website. Social media content works well for reaching out to younger audiences, and the many powerful networks offer a number of possibilities for displaying content. Digital media, such as infographics and videos, are excellent for bringing your content to life in a way that audiences won’t forget. Now it’s time to finally create your content. 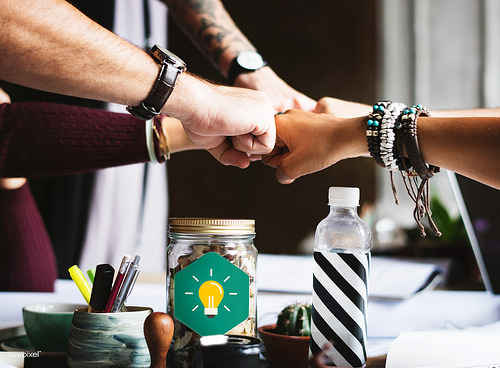 Whether you decide to develop your own content or outsource it to a content marketing agency, don’t forget to integrate everything you’ve learned throughout the strategy-building process. If your competitive analysis research found that your target audience seems to prefer short blog posts, then keep your own posts relatively short. If your audience seems to prefer Twitter over Facebook, don’t write your social media content with Facebook’s format in mind. After your content has been created, you’ll have to decide when to publish it, which should once again be informed by your research. If you’re creating a podcast, maybe you decide to publish one per week. If you want to build a stronger social media presence, maybe you’re posting content once a day. More important than how often you post content is that you post it consistently. Create a schedule and stick to it. Before you actually publish your content campaign, conduct some outreach. Get your followers excited by posting about it on social media or send details through email. Look for Facebook groups, Twitter accounts, and other pages or businesses that share your audience or have ties to the subject of your content. Reach out to them and invite them to participate in sharing the coming campaign. If you pitch your ideas to the right blogger or podcast, you may even be featured in a post or show. You’ve taken a content strategy from inception to fulfillment. You’ve delivered something useful and unique to your audience. But your work with this strategy isn’t quite finished. If a content strategy and the subsequent campaign fulfill nothing else, they will almost always provide a significant learning experience. In the days, weeks, and months after you’ve published your content, monitor engagement and collect data. Keep track of how many likes and shares your social media posts get and how many other websites link back to your blog post. Record how many views every video gets and how many comments respond to your infographic or how many users download your white paper. With that data, you can analyze what worked well and what you can change for future content strategies. Perhaps one type of content received more engagement than another, or posting at a certain time of day just didn’t work out. All of that information becomes a resource for future content marketing efforts. Don’t forget to keep the conversation going after you’ve published your content. Respond to the comments that users leave on your social media posts. Email out surveys about the efficiency of your campaign. Prove to your audience that their feedback and opinions are important, and you’ll strengthen your relationship with them by building brand loyalty. You won’t be able to develop a content strategy overnight. It takes precious time and many headaches’ worth of brainpower, but an effective content strategy can yield long-term benefits that make all the planning well worth it. And while you’re certainly developing your strategy to build your business, if you keep your audience and its needs constantly in mind while you create your strategy, they’ll reward you with page views and shares — and by investing in your brand. Now go get strategizing!